Just Cause 4 had to delivers in terms of performance after the mess that its predecessor's launch was, and it does overall from what we've seen. It's just a shame that the visuals don't impress as much as Just Cause 2 in its days, mainly because aliasing and pop-up issues cannot be ignored that easily when playing, not to mention the poor water effects and reflections. The end result is that the game's image quality seems a bit messy, and though we do appreciate the smoothness of the framerate and the many interactions the physics engine allows, it's a bit of a shame to have to accept so many sacrifices, even on PC (unless you can run the game smoothly in 4K, which we can't with a GTX 1080 Ti and our i7 6700K). Thanks for the videos and the tidbit of technical info. I definitely prefer smoother framerate over graphics overall - of course there's a limit to the compromise, but most of those issues are fixable by mods. While not ideal nor fair to expect the modding community to fix the game's shortcomings, it's still nothing new and even the greatest games on PC suffer from some small issues. Which is the reason I mainly game on PC in the first place, the option to change the game to be better and have a more rich and better experience with it - Trainers as well, to fix or ease some mind-numbing grinding requirements most games have nowadays. Teleporting in Assassin's Creed games is just "perfect"! However, more damning than these small technical issues are the other aspects of the game, like far much worse technical issues of what appears to be a "very lazy PC port", as well as many baffling design choices which seem designed to take out the fun, instead of increasing it. 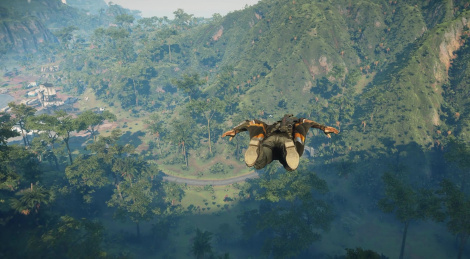 There's a reason why Just Cause 4 has "60% Negative" reviews on Steam. "Still delivers the series' sandbox mayhem, but is underserved by some pretty dated combat and design ideas." For those still interested in the game, like me, it's better to wait a month or two, or at the very least a few weeks to see how well Avalanche Studios supports and fixes the game, an area where people who bought Just Cause 3 still remember how little support they gave to that game, only prioritizing selling DLC expansions and never fixing that game's issues. 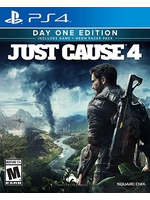 There's far better games this year and from the last years as well, there's no need to rush to buy Just Cause 4 right at release, specially in such a bad state. Even in 1440p I get drops on my current rig. It might be the cpu, but still when framerate drops to 30 fps when driving, it's not cool. Yeah, a lot of technical issues with the game at this time. I can't stress enough how much people shouldn't buy it at the moment - at least on PC, the game absolutely needs a lot of patches. Which is a shame, since I was looking forward to it. But this just means that by then the game will be much cheaper and, hopefully, works properly. A lot of people are getting refunds for this one on steam. It's an alpha version or something and looks nowhere near as good as their pre-release trailers. Yes, reviews went to the "34% - Mostly Negative" range on Steam atm, and declining. People are really disappointed and frustrated with the state the game's in. Many are wondering how the game was released full price in this unpolished and unfinished state, but unfortunately that's how bad the AAA gaming scene has become, where some companies just don't care and will release incomplete games on the date no matter what. That's why pre-ordering is really a trap, unless you're absolutely confident in the game, and even then some caution is advised. Really ironic that a company like Nintendo delayed a mainline The Legend of Zelda game for years, a game from one of the company's most important franchises, while Square Enix couldn't delay Just Cause 4 for a few months!?! After Fallout 76, The Quiet Man, Underworld: Ascendant, and Immortal: Unchained, seems Just Cause 4 is the next one to join a list a very disappointing games in 2018 - very unfortunate in a year with Red Dead Redemption 2, God of War, Assassin's Creed: Odyssey, Spider-Man, Dragon Quest 11, Monster Hunter: World, Celeste, Astro Bot: Rescue Mission, and so many other brilliant games. These developers and publishers should be ashamed of what they released, specially big companies like Bethesda, Square Enix and Avalanche Studios, which have a lot of money, hundreds to thousands of developers and experience, yet are doing worse than a lot of indie companies. Exactly, most of the publishers are not ok with delays and in this case they want to release these games before the holidays, no matter how buggy are they and devs eventually finishing them with patches post release, which often doesn't happens. They really don't think that a lot of people will skip some of their next releases in future. While i think Avalanche's next game RAGE 2 will be good technically (thanks to Id) i highly doubt it'll meet any sales expectations of the publisher. Good luck to them. True, but the worst of all is that most people don't care, either because it has been like this for so long, because they are very impatient and just want the newest thing asap, or more likely a combination of both. So you get a lot of people defending the games by saying that "developers will patch it in the future", I have seen so many threads like that in the Steam forums, not only for Just Cause 4, but many other games, that just shows how deep the problem goes. It's absolutely not okay to sell an unpolished and unfinished game at full retail price, and just continue development and fix most of the issues after the game has been bought by many. It shows a profound lack of respect on the company(ies) involved towards the consumers. Specially the most passionate fans, which are the ones right there at the game's launch, pre-ordering, buying season passes, special editions, etc. It's truly baffling how it came to be like this - I honestly can'	t think of any other industry like this, yet because most consumers fall for this time and time again, companies keep doing it. Someone on EuroGamer, made a perfect analogy, imagine buying a car that has all sorts of issues, which will only be fixed in the 2-3 months to come. You're free to use the car as well as it works and the fixes won't cost you anything, you just need to "deal with the issues" until then. But hey, they will be fixed, so no problem, right!? This sort of thing, destroys companies reputations, during college, I learned about how Toyota lost a lot of the reputation it had earned through decades by being sloppy and trying to cut costs so much, that the cuts started affecting quality. That's when they started recalling their cars one model after the other. If you Google search for "Toyota Quality Lost Reputation", you will find all sorts of articles from great business sites like The New York Times, CNN, Forbes, Washington Post, The Guardian, Business Insider and many others. I mentioned Toyota's case, because it's an example of something outside the Gaming industry in which when a company started doing bad things one after another, things went so wrong that it became a "case study", an example case teached at colleges and universities of what not to do in any business. This only happened because the people who buy cars, expect them to have the highest quality possible for the product they're buying. While buying $60 games are not the same as buying tens to hundreds of thousands of dollars vehicles, it shows that those consumers aren't going to accept companies selling bad products. Until most people who buy games start having a higher standard of quality for the games they buy, Gaming companies will continue to push unfinished games down their throats. PS. Sorry for the long text, just wanted to include Toyota's case to show how consumers in other industries deal with lack of quality products, while not always 100% true, most of the time it affects reputation and profits enough that companies start doing better, not because they want to, but because that's the only way to be truly successful. In short, consumers held them accountable, instead of trying to defend their disrespectful bad practices. Ah yeah, how anyone can defend games like this one is beyond me. Last day i read the threads on Era and bunch of people come up with the weak consoles cpu's arguments, and how our good developers at Avalanche are trying their best to provide stable framerate on such an ambitious title. I mean, yup you are right, until people support broken products things will get worse.